TAW Kabui’s beads making potential, spotted. 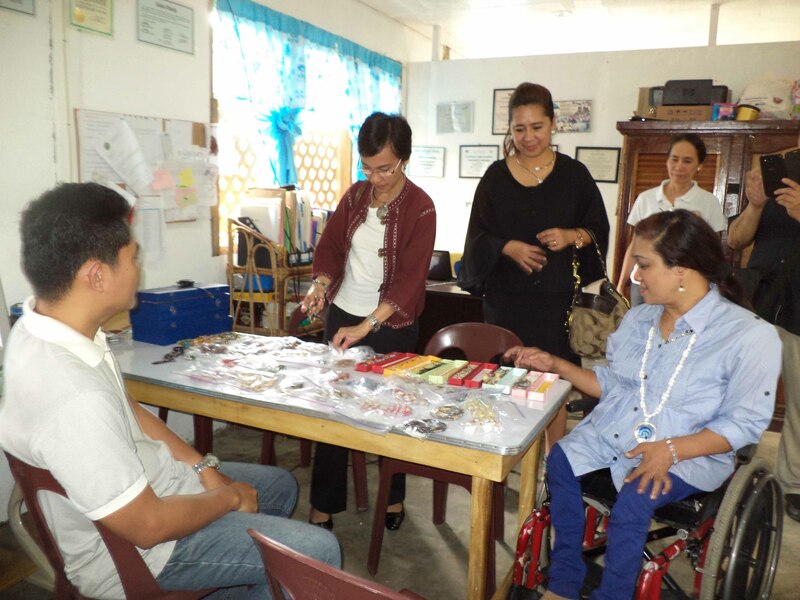 Three lady executives, charmed by the accessories made by Taw-Kabui for a Child Incorporated’s staff and parents of students with intellectual disabilities, agreed that the project deserves some push, to better take off. From left: TKCI Executive Director Pastor Ramon Rosario, Department of Tourism Director Maria Rica C. Bueno, Puerto Princesa City Tourism Officer Ms. Rebecca Labit and NCDA Acting Executive Director Carmen Reyes-Zubiaga and behind her, TKCI’s Program Manager.